Cremona Musica offers its condolences to the family of Vittorio Fabbrini, who passed away on 31 March, at the age of 77. 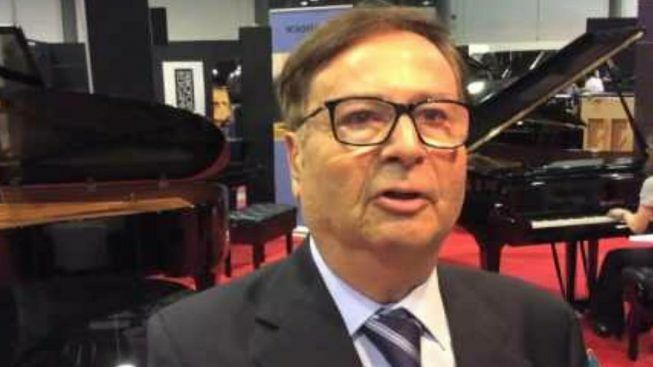 Vittorio Fabbrini was a historical figure of the world of piano in Italy, having funded the company Fabbrini, with his brother, in the business of piano selling, distribution, repair and tuning since 1981. Vittorio Fabbrini has been a protagonist of Cremona Musica and Piano Experience for many years, as the official distributor of Bechstein. We remember him with an interview realized during Cremona Musica 2015.